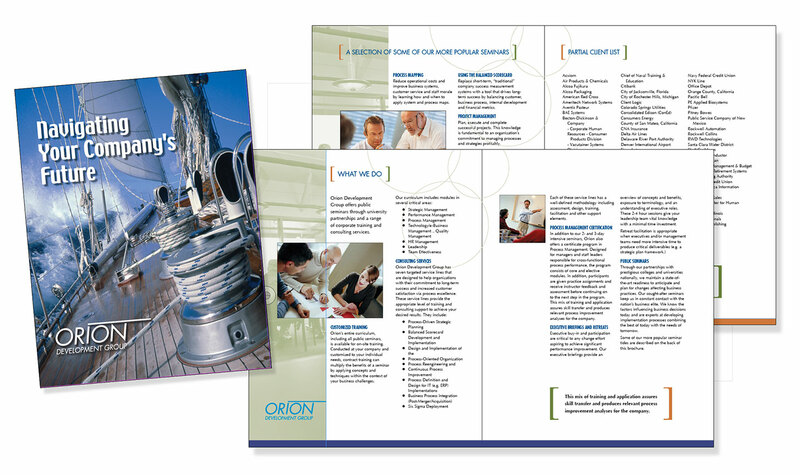 Company brochure for Orion Development Group, which offers public seminars through university partnerships and a range of corporate training and consulting services. Orion’s entire curriculum, including all public seminars, is available for on-site training, and can be customized to a company’s individual needs. Contract training can multiply the benefits of a seminar by applying concepts and techniques within the context of an individual company’s specific business challenges.